Welcome to Fleming & Riles Insurance! Originally established as the Gortatowsky Insurance Agency in 1898, the agency name was first changed in 1979, but continues to serve its clients to this day. While the look of Fleming & Riles Insurance has changed over the years, we remain cemented on a firm foundation of commitment to the people and businesses we insure. With over a century of service to Georgia and the Southeast, we clearly understand the changing needs of our clients. Our success has been built on long term personal relationships with our clients. As an independent insurance agency, we offer our clients all types of insurance, from a wide variety of companies. Our carefully assembled team of professionals has a diverse, in-depth knowledge and over 200 years of experience in all areas of insurance. Along with your attorney and CPA, we are a part of your team of trusted advisers. Fleming & Riles Insurance is an owner and board member of a cooperative venture named Securerisk, which is owned by independent insurance agencies in Georgia, Tennessee, North Carolina and Alabama. Securerisk agencies handle well over a billion dollars in combined insurance premiums. 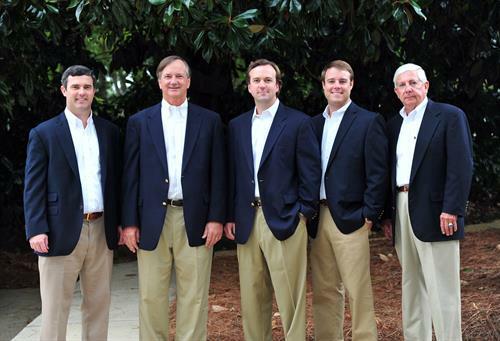 Securerisk and its member agencies form one of the largest insurance brokerage groups in the southeast U.S. This tremendous success allows Fleming & Riles Insurance the clout and resources to have direct access to the premier insurance companies operating in the state of Georgia today. Fleming & Riles Insurance is a trusted choice for all your insurance needs!